405 North Road, Coquitlam, B.C. We are very proud to announce our 2019 Keynote Speaker. 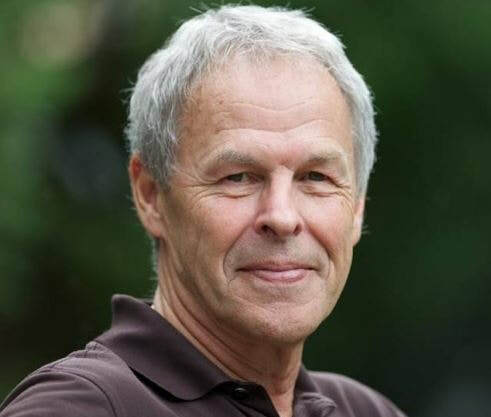 Linden MacIntyre is best known as the award-winning former host of Canada’s premiere investigative television show, CBC’s the fifth estate, as well as an internationally bestselling novelist. MacIntyre brings provocative points and impeccable analysis to every stage he graces. His talk, "Mass Media: A Pillar of Democracy", will be no exception. ​Join us at ACE 2019 to see for yourself. "The Reins of Freedom are Found Through Many Paths"
"Digital Citizenship for Adult Learners"
"How To Have Better Conversations About 'Edgy' Topics"
participants and their guests. Music by the Crayons! "Mass Media: A Pillar of Democracy"
"Integrating Tech Tools for Adult Learners"
We are thrilled to announce that Jeff Borden will be presenting two sessions at ACE 2019 (One session on each day). Former Chief Innovation Officer at Saint Leo University, Jeff is currently the Executive Director of the Institute for Inter-Connected Education and the Chief Academic Officer for the Ucroo Digital Campus. Having spoken to educators at every level, from politicians to Presidents to Principals, in 38 countries and 49 of 50 U.S. states, Dr. Borden is generating and communicating the best possible ideas, strategies, and philosophies to transform learning at scale. Through award winning "learning ecosystem" creation, large scale alternate reality games for education, and other creative endeavors, Dr. Borden has researched and implemented effective learning techniques for thousands. Having written editorials, blogs, and given interviews for dozens of academic and popular media, as well as having presented to more than 1,500 audiences in 20 years, Dr. Borden will provide practical, researched, intentional strategies for changing learning. Jeff will share pragmatic insights regarding education technology, academic vision, rigorous research, and learning design. Jeff was the keynote at the recent AAACE conference and received great reviews! ​Bonnie Nicholas BA MEd (TESL) teaches adult newcomers at NorQuest College in Edmonton, where she has taught both blended and fully online courses for adult English language learners. Bonnie holds the TESOL International Principles and Practices of Online Teaching Certificate as well as a Mastery in Blended Learning, Online Teaching Certificate, and Instructional Designer certificate, all from the Online Learning Consortium. Bonnie has presented both virtually and in-person on integrating educational technology with language teaching and learning at local, provincial, national and international conferences. You can find her on Twitter at @EALstories where she is a member of the #CdnELTchat team. Peter Bailey has worked with Free Rein Associates in every capacity since 1993. Peter is a certified employment counselor, holding the BC Career Development Credential. He also has a business certificate from BCIT and the Provincial Instructor’s Diploma through VCC. It is Peter’s personal value that the Free Rein services help community members develop their careers to enhance their quality of life and therefore the quality of life in the whole community. Peter was recently awarded the Decoda Literacy is Life Award and the ASPECT Leadership Award presented by the Lieutenant Governor. Christy M. Rhodes, Ph.D has been an adult educator for over 25 years. She worked with adult English language learners in Florida, the United Arab Emirates, and Costa Rica before becoming an Assistant Professor of Adult Education at East Carolina University. In addition to adult literacy education, she is interested in the relationship between culture and learning, which is the foundation of her community development, professional development workshops, and research agenda. She is currently conducting a national study of the culturally responsive teaching practices of adult English language educators. She has served on the Board of Directors of the American Association for Adult and Continuing Education (AAACE) in various roles and was recently awarded the President’s Appreciation Award for her exemplary service to the organization. She is the current Director of the Commission for Adult Basic Education and Literacy (CABEL) and Secretary of the National Coalition for Literacy (NCL). Gary Poole has a PhD in Psychology, and is a professor emeritus in the School of Population and Public Health in the Faculty of Medicine at the University of British Columbia. For 10 years, he was the director of UBC’s Centre for Teaching and Academic Growth and the founding Director of the Institute for the Scholarship of Teaching and Learning. He is a past-president of the Society for Teaching and Learning in Higher Education, Canada’s national organization advocating for effective teaching at the university and college level. He is also past-president of the International Society for the Scholarship of Teaching and Learning. He has received career achievement awards from both societies. In addition, Gary plays golf, but he is unlikely to receive any awards for that. ​Ryan Cho teaches Social Justice 12 at Terry Fox Secondary School in Port Coquitlam, BC, is one of the co-Chairs for the BCTF Committee for Action on Social Justice, sits on the Anti-Racism advisory committee, and is the winner of this year’s BC Premier’s Award for Excellence in Education (social equity). Polarization and “edgy” issues are becoming a normal part of our communities and public discourse. As the world becomes more and more diverse, it’s increasingly important that build our capacity to have good conversations on polarizing topics. However, many people feel un-equipped to work with these themes within their lives. This workshop will explore ways people can facilitate dialogue (not debate) on controversial issues and move people forward together based on their shared values. We've included ALL meals, snacks and refreshments as part of our conference registration! And FREE parking at the hotel for all participants! 2016 - Our First Year!